A call by ABC News to the phone number listed went to voicemail. Patrons at a Baltimore Dunkin' Donuts were greeted with a sign offering coupons for free coffee and pastries in return for reporting workers "shouting" in a foreign language. The notice, which was signed "General Manager" and asked customers to report non-English speaking staff by name, was posted at the eatery's West 41st Street location in the Hoes Heights neighborhood. 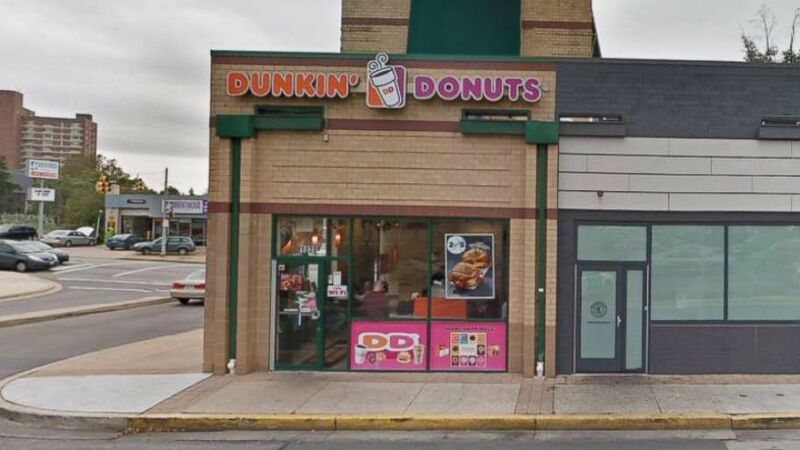 (Google Maps) An image taken from Google Street View shows a Dunkin' Donuts location on 41st street in Baltimore, circa November 2017. Gillian Morely, a journalist with WBAL-TV, snapped a photo of the sign and shared it to Twitter Monday. "If you hear any of our staff SHOUTING in a language other than ENGLISH please call [sic] with the name of the employee to receive a coupon for a coffee and a FREE pastry. -General Manager," the sign read. A call by ABC News to the phone number listed on the sign went to voicemail, which was full. Within hours of its posting, the sign had been taken down, Dunkin Donuts' corporate office said in a statement. "Dunkin’ Donuts and our franchisees share the goal of creating a welcoming and hospitable environment for all guests. The franchise owner has informed us that the sign was posted by their general manager based on her own personal judgment to ensure those standards are being met. While her intent was to address a customer service and satisfaction issue, the franchisee determined her approach was inappropriate and confirmed the sign has been removed," the statement read. (2/2)... While her intent was to address a customer service and satisfaction issue, the franchisee determined her approach was inappropriate and confirmed the sign has been removed. The incident comes a month after a New York lawyer sparked outrage after he was caught on video berating customers and workers for speaking Spanish in a Manhattan restaurant. "I pay for their welfare, I pay for their ability to be here," Aaron Schlossberg, 42, said. "The least they can do is speak English." He later apologized for the rant.